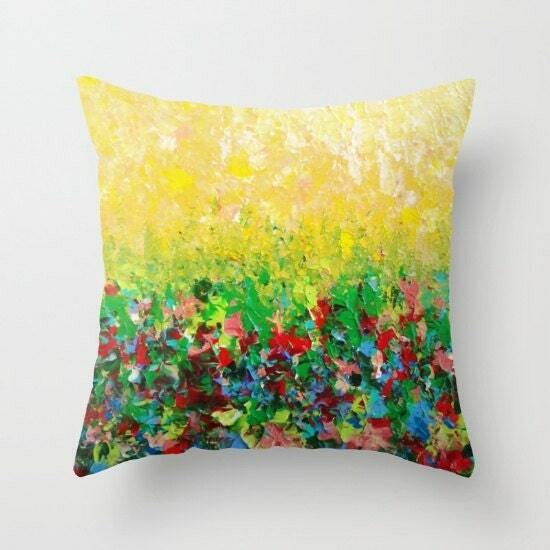 Throw Pillow Cover made from 100% spun polyester poplin fabric, a stylish statement that will liven up any room. Individually cut and sewn by hand, the pillow cover features a double-sided print and is finished with a concealed zipper for ease of care. MADE TO ORDER - Please allow 1-2 weeks for your pillow cover to be created before shipping. Also, please review my shop's made-to-order item policies prior to purchasing, or convo me if you have any questions. This image is based on the original watercolor painting created by Ebi Emporium. Ebi Emporium holds all copyright and rights of this design.